Very few people saw a Microsoft (s msft) deal for Skype coming, so when Om first reported it was in the works, the idea was met with a lot of skepticism. Now that Microsoft has confirmed the deal and the price of $8.5 billion, the news is still leaving many scratching their heads. Others, however, say there is some wisdom in the move — although it still comes down to Microsoft making the deal work, which is far from a given. “Can’t imagine really using a Microsoft product again. How can they not screw it up? Peter Bright of Ars Technica questioned the price of the deal, which comes down to more than $1,000 per registered Skype user. He said Skype, while not a well-written piece of software, could be valuable as an addition to Microsoft’s Messenger/Lync platform, though it also represents a lot of overlap with existing products. It could be integrated into Windows Phone 7, but that could make it unattractive for carriers. And he wondered how lucrative each customer will be for Microsoft. Electronista also wondered how carriers will take to the deal should Microsoft try to integrate Skype into Windows Phone 7. The move to buy Skype may not be just about gaining technology or Skype’s user base of more than 600 million members. It could also be strategic, to keep the company out of the hands of competitors. That’s the assessment of Larry Dignan at ZDNet (s cbs), who said Microsoft is playing an expensive game of keep away, preventing Skype from falling into the hands of Google (s goog), Cisco (s csco) and Avaya. Fred Wilson of Union Square Ventures lamented the deal, saying he was disappointed to see Skype give up on its independence. He wondered aloud if the deal suggests Skype was running into troubles growing or was losing the confidence of investors. But he found a positive take-away from the acquisition for other VoIP companies. Ultimately, much comes down to how well Microsoft integrates Skype. 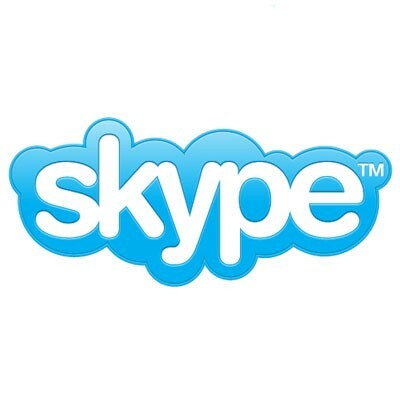 But there are good business and consumer reasons for Microsoft to want Skype, said Greg Sterling of Search Engine Land, if it can integrate Skype with its enterprise products, Kinect, Windows Phone 7 and even Bing. I think it’s a good deal for both companies. Unless MS has some sort of overarching evil genius plan, the vector of which no one sees coming, I can’t imagine how 8.5 billion works. Let’s try one way out there – MS buys Sprint and uses Skype as a per minute phone client that is social and can do micropayments. Yes, it is going to take something as bizarre as this and 2 chess moves ahead to make it worth the money. Bad news for Apple users. Dave Winer went *slightly* overboard. Having said that, I’m not entirely sure what Microsoft’s thinking. I figure we’ll have to wait to see how this shakes out. They’ll go into super “product integration mode” for products that no consumer uses and that’ll be the end of it. Or it could turn into a turd like Danger and the Kin. Yep, a turd.